When the mercury rises, there’s nothing better than relaxing in the comfort of your own swimming pool with your friends and family. Yet, whether you spend time swimming laps or lazing on a li-lo, smart pool-owners also recognise the importance of pool safety. Pool fences are mandatory in Australian pools. The downside is that they can look pretty ugly. In Australia, pool and spa owners are legally obliged to maintain effective fencing. And, over the past few years, the most popular choice for this fencing has become glass – favoured not only for its safety benefits but also for its aesthetic value. 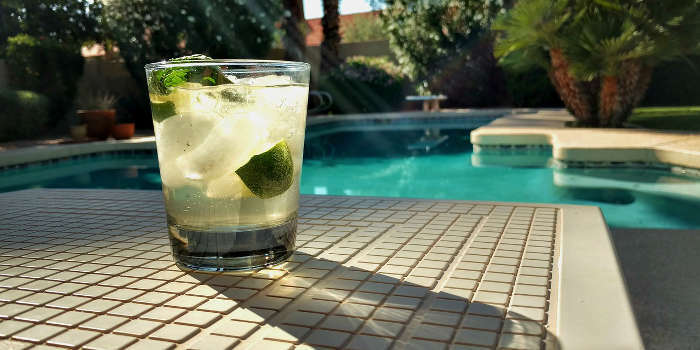 However, if you have glass pool fencing (or are considering it in the future), it’s important to ensure your set up complies with regulations and meets all of your needs. 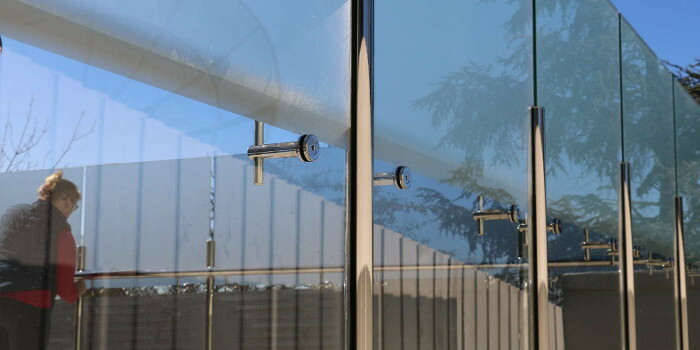 Frosted window film can be a smart and affordable way to enhance your privacy and safety and provide you a sleek and stylish finish while ensuring your fencing complies with relevant council by-laws. Here are some of the benefits of frosted window film for glass pool fences. A clear, glass pool fence does wonders for uninterrupted landscape design. Yet, if parts of your pool overlook or are looked onto by neighbouring properties, you’ll need to consider relevant building codes and council by-laws. In Melbourne specifically, pool owners need to be aware of Overlooking Regulation 419, which states that a “habitable room, deck, or balcony should avoid direct views into the secluded private space or a habitable room of an existing dwelling within 9 metres”. If this applies to you, then frosted film is a great option. One of the key benefits of frosted window film is that it offers a superior degree of privacy and seclusion, while also providing great design value when used in combination with the right landscaping. Ever walked into a really clean, glass door? While large transparent glass fences look great, they can pose a safety risk if the correct window treatments aren’t applied. 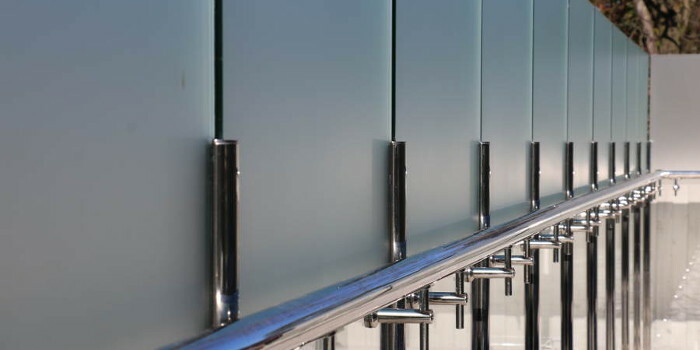 The Australian Standards for window and glass safety require windows or glassed areas that risk causing injury, because of transparency, be treated with a permanent motif in the glass or an adhesive label that is unable to be removed in a single action. If you’re concerned about the safety compliance of your pool fence, frosted window film is an affordable and versatile solution that can be used to meet building regulations, while also enhance the overall landscape design. Frosted window film can be installed inside or outside, cut into almost any design and is available in a range of colours. It’s ideal for installation on pool areas and other external glass because it’s long lasting and made from tough, UV resistant materials. Better yet, it is incredibly easy to clean and is a convenient way to ensure you’re swimming is, well, swimming! Looking for assistance with a glass pool fence? If you do decide to get frosted window film added to your pool fence it’s important to choose a high-quality provider – as only high-quality films are as durable as the outdoor environment requires! With more than 20 years in the window film business, working across both the commercial and residential sector, Apply to Glass is Melbourne’s most experienced provider of privacy window film, decorative window film and a range of window film solutions.